AMD, today announced the AMD Catalyst 12.11 “Never Settle” driver update for its Radeon HD 7000 Series cards which would bring substantial improvement in gaming performance and stability of the graphic cards. 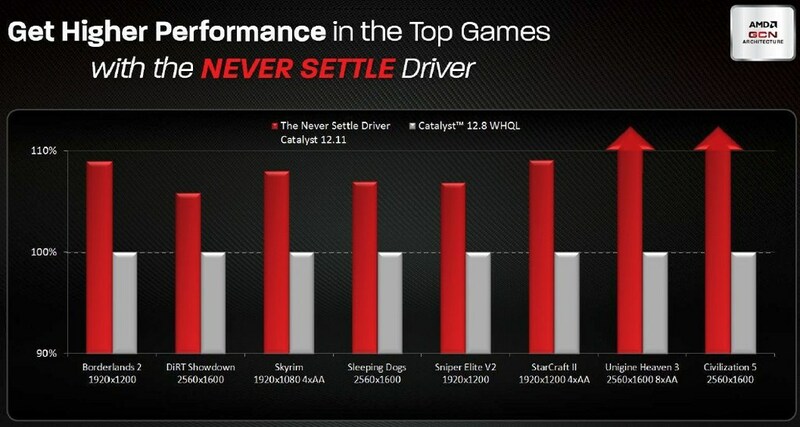 The AMD Catalyst 12.11 Driver update would be launched this month, performance charts estimates suggest that we would be looking at around 5-15% gaming performance improvement in various titles over Catalyst version 12.8. 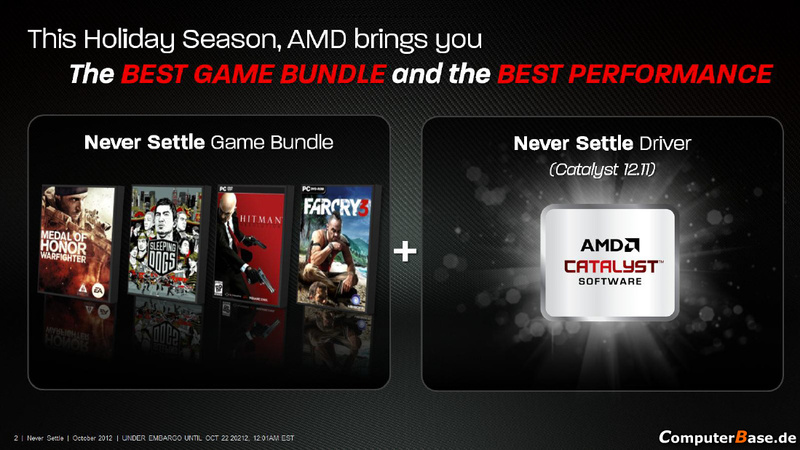 AMD Catalyst 12.11 update is specifically delivered for the AMD’s GCN (Graphics Core Next) architecture based cards which include HD 7750, HD 7770 GHz Ed., HD 7850, HD 7870 GHz, HD 7950, HD 7950 BE, HD 7970, HD 7970 GHz, and HD 7990 and mobile series based Radeon HD 7700M, HD 7800M, and HD 7900M. 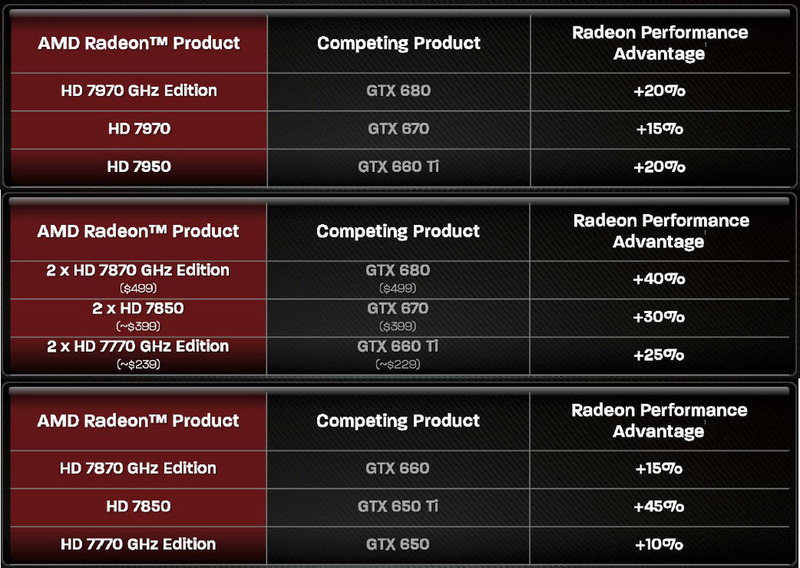 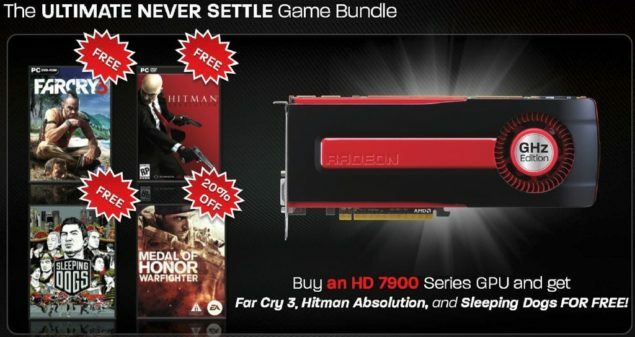 Over NVIDIA, AMD’s new Catalyst would deliver a massive boost for instance the Radeon HD 7970 GHz edition would get upto 20% performance improvement over GeForce GTX 680 and around 15-10% improvement of other cards over their NVIDIA competitors. 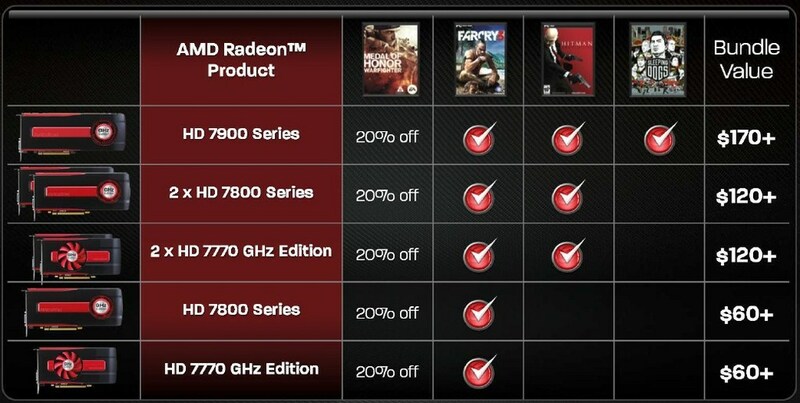 These titles are pretty much what every gamer is currently focusing on for the fall season and garbing an AMD card which gets you these great titles for free doesn’t seem like a bad deal at all. 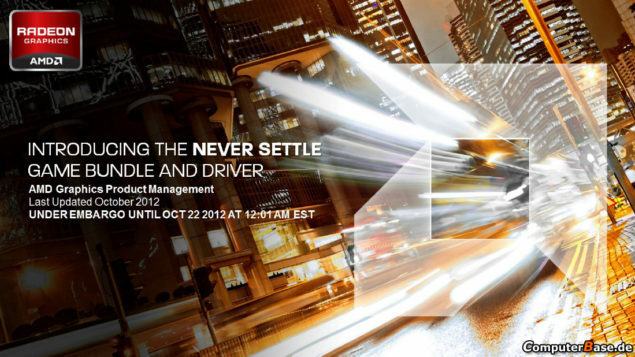 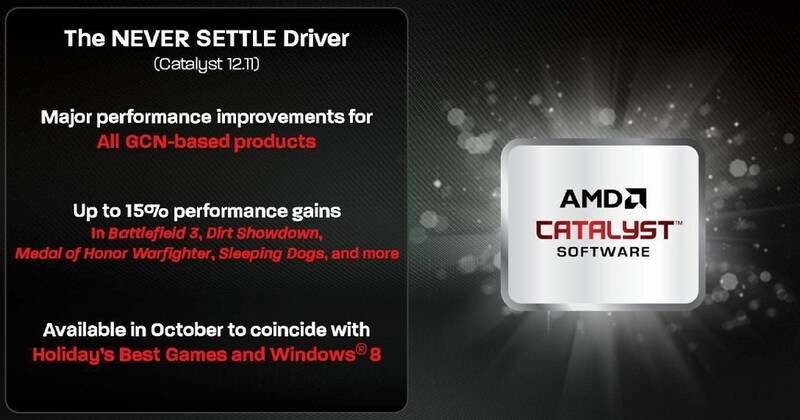 We will update this post with the AMD Catalyst 12.11 Driver link once its available.